The Rail-Trail Council is developing the 38 mile trail in eastern Susquehanna County. Ten miles improved from Forest City to Herrick. Great for biking, hiking, running and cross-county skiing. The Rail-Trail Council of NEPA, Inc. is a non-profit organization developing recreational trails in northeastern Pennsylvania. The office is located in the Borough of Union Dale, Susquehanna County, in the Cables Store Building, alongside the D&H Rail-Trail. The RTC has over 1400 members who support the organization with membership dollars and volunteer hours. The Board is made up of 30 members, a part-time executive director, and a part-time program manager. Picnicking, hiking, camping, hunting, fishing, year-round programs, historic homestead. 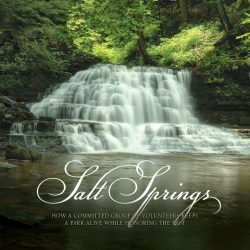 Eight hundred forty-two of the most beautiful acres in Susquehanna County make up Salt Springs Park. Just under half of this land is a state park the Friends of Salt Springs manage for the Commonwealth, and the rest is our own land we encourage the public to enjoy. Salt Springs offers the peace and beauty of streams and woodlands combined with nearly 15 miles of trails, historic farm buildings, cottages, camping, picnic grounds, and a variety of programs and events. Salt Springs is open to the public year-round, without charge, from sunrise to sunset. 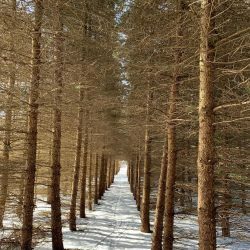 The park is 6 miles north of Montrose, the county seat of Susquehanna County, and is within easy driving distance of Scranton, PA, and Binghamton, NY.